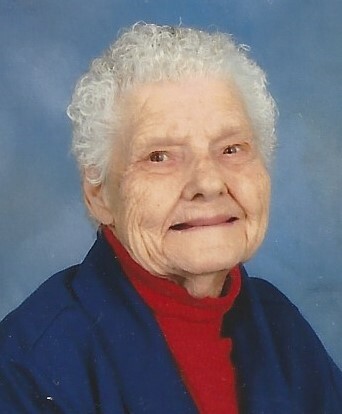 Dellie Lee Maxwell Mills, 91, passed away on Monday, April 8, 2019 at her home. She was born in Gaston County, daughter of the late Elias H. and Lowbier Reece Maxwell. In addition to her parents, she was preceded in death by her daughter, Alice Johnson and her grandson, Marcus Bell. She was a life-time member of Mount Holly Pentecostal Holiness Church. Mrs. Mills is survived by her children, Dora Lee Click and Michael Johnson; her sister, Zellie Hubbard; eight grandchildren; twenty great-grandchildren; and twenty-three great great-grandchildren. The family wishes to express their sincere appreciation to the staff of Gaston Hospice for their care and compassion. A graveside service will be held at 12:15 pm on Wednesday, April 10, 2019 at the Old Mount Holly Cemetery. The family will receive friends on Wednesday from 11:00 am until 12:00 pm on Wednesday at Woodlawn Funeral Home, Mount Holly. Memorials may be made to Gaston Hospice by visiting www.gastonhospice.org. Condolence messages may be sent to the family by visiting www.woodlawnfuneral.org. Woodlawn Funeral Home of Mount Holly is serving the family.